When Dumbo, makes his performance debut, his embarrassingly giant ears have to be tied out the way. Later, those same ears make him the star of the show. 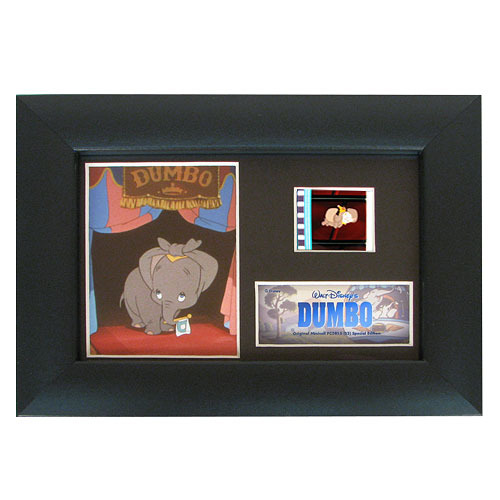 Enjoy his happiness when you display this special edition framed film cell presentation. The Dumbo Series 3 Mini Cell measures 7 1/2-inches wide x 5 1/2-inches tall. Perfect for displaying in your home or at the office, all the elements are framed in black wood and includes a certificate of authenticity.